Are pinhole glasses really useful for nearsighted people? 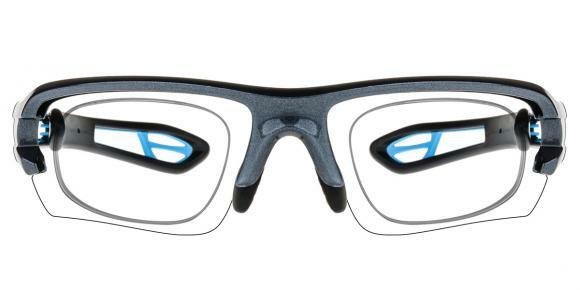 Do pinhole glasses work about improving vision? How effective is pinhole glasses to near sighted sufferer? The pinholes on this kind of glasses can filter out abnormal light, and the central part of a beam of light will enter into eyes and focus on the retina, then image become clearer. Wear this kind of glasses can correct ametropia and all sorts of poor vision, such as photophobia, myopia, astigmatism, presbyopia, etc. In particular, it could prevent myopic degree from deeper and correct pseudo myopia, reduce the radiation from TV or computer, What is more, it could reduce eye fatigue and tension. But there are some tips you must remember: first, you do not need to wear it if you have a normal vision, because it may interfere with your vision. Second, do not do dynamic activities such as drive car, ride bike when you are wearing pinhole glasses. Third, do not look into the sun and it is unnecessary to wear if you want to see something nearly (under 30 centimeters). Forth, use 3 to 5 times a day, each time 15 minutes, you can extend time if you intend to watch TV or use computer and it will protect your vision effectively. Pinhole glasses are also named stenopeic glasses whose lenses are made of many pinhole perforations. The working principle of pinhole glasses is similar as a pinhole camera. Because of the perforations, pinhole glasses can let only a very narrow beam of light enter into the eyes. Therefore, the size of circle of confusion on the retina can be reduced and the depth of field can be increased. Pinhole glasses can be used by people with both myopia and hyperopia. However, they are not suitable for people with strong myopia. Of course, they can improve your vision. Pinhole glasses which are well known as stenopeic glasses, are eyeglasses with a series of pinhole-sized perforations filling an opaque sheet of plastic in place of each lens. Because of being combined with certain eye exercises, could permanently improve eyesight. Even if pinhole glasses are claimed to be useful for people who are both near- and far-sighted, they are not recommended for people with over 6 diopters of myopia. Additionally, pinhole glasses reduce brightness and peripheral vision, and thus should not be used for driving or when operating machinery. But there is still something you should pay more attention to. For example, you should not drive with pinholes, or do other things that require good peripheral vision for safety! It is said that pinhole glasses are useful for people who are near-sighted, far-sighted or astigmaic, but they are not recommended for people with over 6 diopters of myopia. You do not have to do any prescription or eye exam. Just put them on, and you will see clearly. According to some wearers, some eye exercises are needed to be used together to improve eyesight. Eyesight if used together with eye exercises. But due to a lack of formal clinical studies to substantiate the effect, it is better to try them by you. The best natural remedy for the eyes is a mixture of carrot, celery, parsley, and chicory juice to help nourish the optic nerve and muscular system. Using pinhole glasses is a very safe way to restore normal vision. It can reduce eye fatigue and the small holes on glasses are very convenient to read, to watch TV or to play with a computer. This means that any bad eyesight can wear pinhole glasses. What's more, it helps to protect the eyes and can prevent myopia from being coupled with the depth of the number, but it does not treat myopia. I alreadly have a pair of pinhole glasses and they work prfectly. I can see clearly now. They do a great job. They are good enough to use. But The pinhole glasses just don't work for everyone. Everyone's eyes are different and though they may have worked for you, others they may not work for. President’s Day Sale is Here! Does walmart sell kanye west glasses? What is the best way to clean polarized sunglasses? What is the best haircut for men with glasses? Does vitamin c help dark circles under eyes? 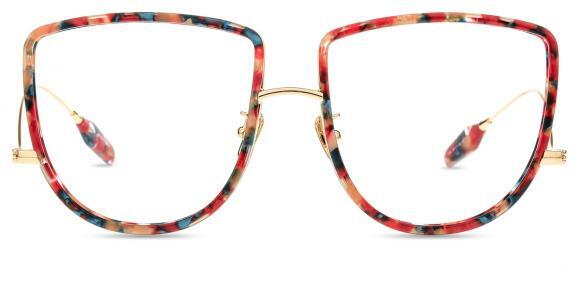 How to decorate my eyeglasses frames? Does walmart sell magnifying glasses? Do eyes get darker with age? Does walmart sell ray ban eyeglasses?